Women's Maserati Watches. 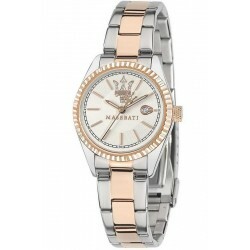 Buy Women's Maserati Watches at Discounted Prices. Women's Maserati Watches for Sale Online at Discounted Prices. Women's Maserati Watch Competizione R8853100504 Quartz, Model number: R8853100504, Category: Maserati WatchesBuy Maserati Watch R8853100504. You can find the best Maserati Watches on Crivelli Shopping ... for sale online at special prices.Are you looking for a Maserati watch? Do You want to be sure it's original, authentic and at the best price?Do You want to receive serious and professional after-sales service? Buy it on..